The right siding can really make a home pop—one color can dramatically improve the look of a house, while the wrong one can ruin the entire look. That’s why it’s important to make some considerations before you choose your one and only hue. The wrong decision will leave you with a poor looking home with a lower resale value, the right one can really make a dramatic improvement and up your resale value noticeably. Start your research process by taking a close look around your neighborhood to get a good feel for the aesthetic standard in your area. 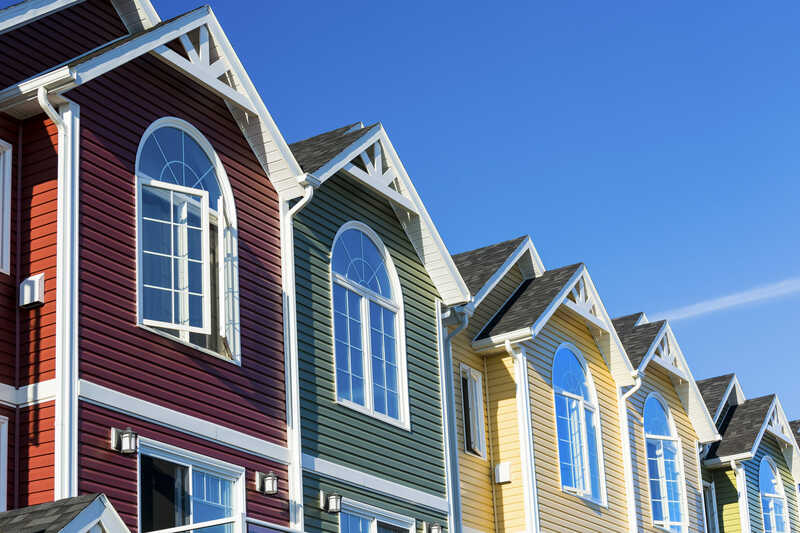 If your neighborhood is a mix-and-match of different siding colors, then you don’t really have to worry about matching it—but do keep in mind that most areas have some sort of guidelines to follow. Even if it’s tempting to go with a unique and even quirky siding color, this is generally a bad idea if you plan on selling your home in the future. It’s one thing for your home to stand out, but it should also complement the community colors to an extent (no neon hued homes in a neighborhood with a more conservative palette)! Contrary to what you might think, smaller homes generally look better in darker hues, while larger homes are better suited in light tones. It’s all about the way that the siding makes the spaces stand out. A huge house with dark siding will stand out dramatically and can even have a gloomy look that’s imposing to the neighborhood. A small home that’s light in color will probably seem indistinct and maybe even smaller than it really is. If you have a larger home, consider lighter colors and do the opposite with a smaller house to really maximize its look. A house shouldn’t be all one tone or hue—there should be a few colors for contrast, which is pleasing to the eye. When looking at swatches for your home’s siding, make sure that you consider complementary colors for the trim, railings, and any other exterior features as well. If you already have a favorite trim color, you can base your siding decision around that color as well to save yourself some trouble, but don’t limit yourself to save a few hours of work either, since you have to live with that siding as long as you’re at the house. The roofing of your house should match the siding you’re planning—unless, of course, you are planning on changing the roofing as well. That means you should compare all the color swatches you have to the roofing to see how well they go together. Only good matches with the roofing should be considered if you want the house to look good once it’s finished. The upside to a more modern-style abode, with its cleaner lines and minimalistic presence, is that it’s more of a blank canvas, perfect for even bright colors. 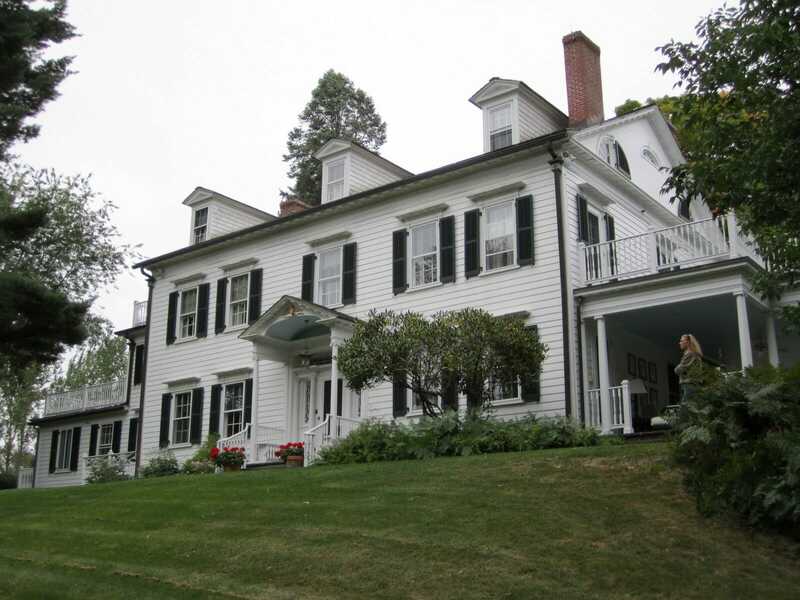 But that doesn’t necessarily apply for a historic home such as a colonial—or even just a very architecturally-detailed home. This is an instance in which you’ll want to keep it to a brilliant white, or another neutral color to maintain its distinguished charm. Pay attention to the siding of other homes in similar styles and which colors really catch your eye to help you choose.